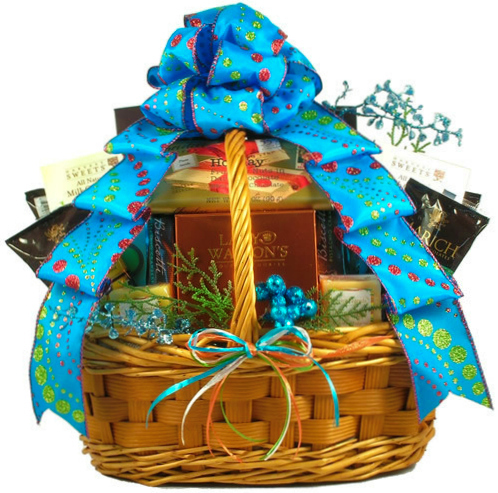 This tropical Christmas gift basket will have them dreaming of coconuts, waves lapping at the beach and Christmas lights dangling from palm trees. 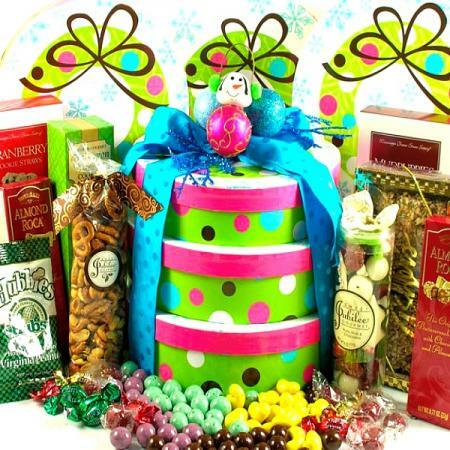 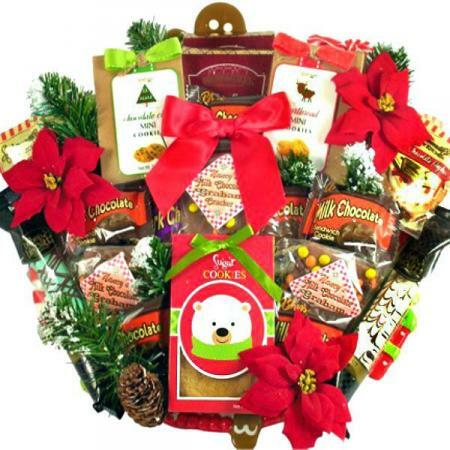 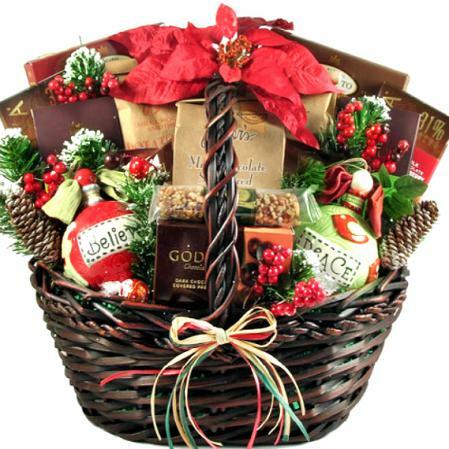 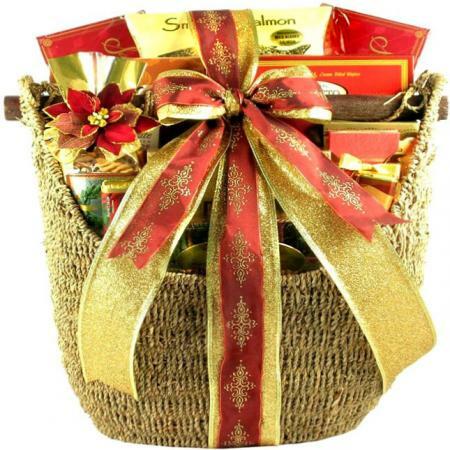 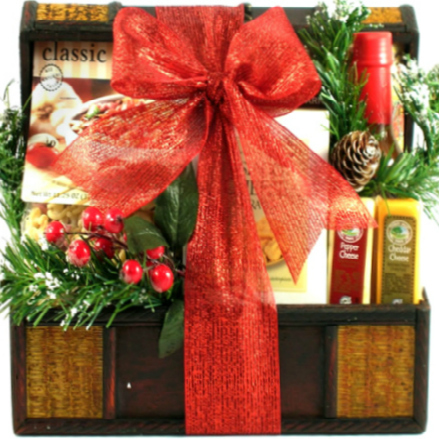 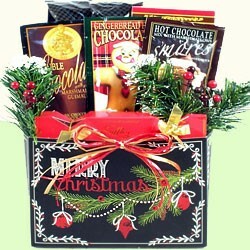 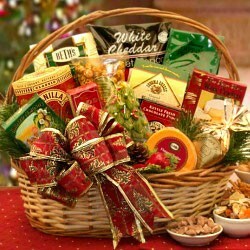 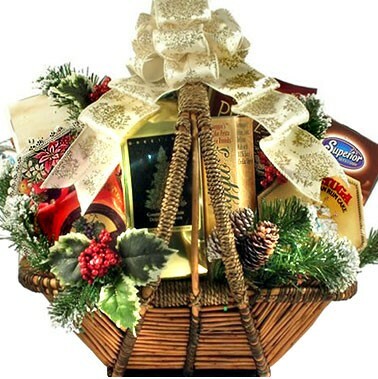 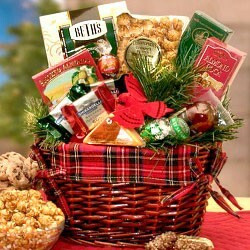 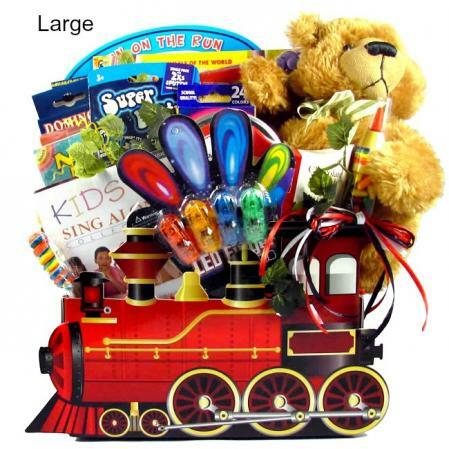 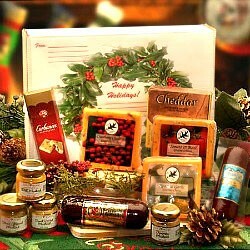 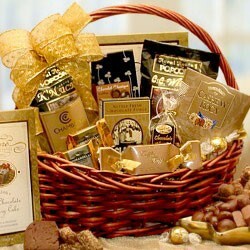 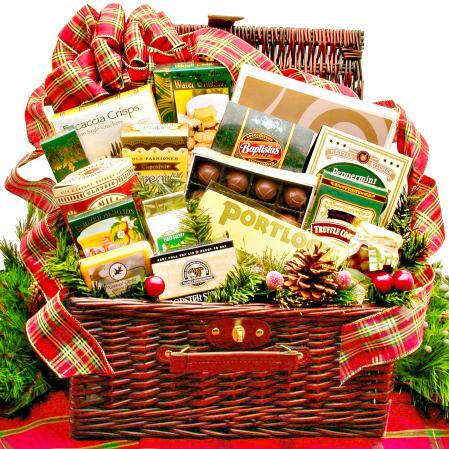 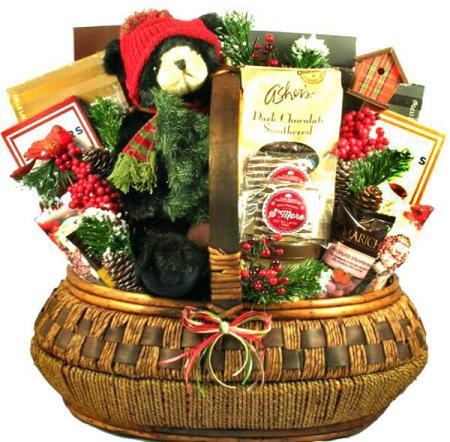 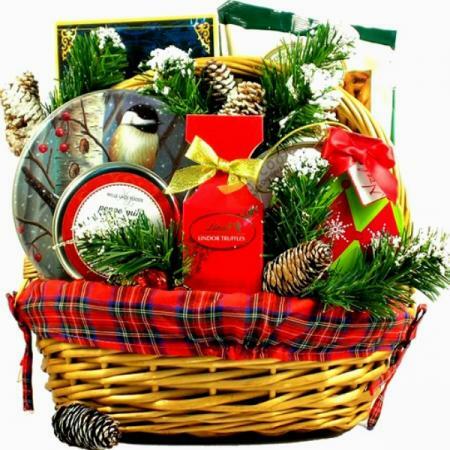 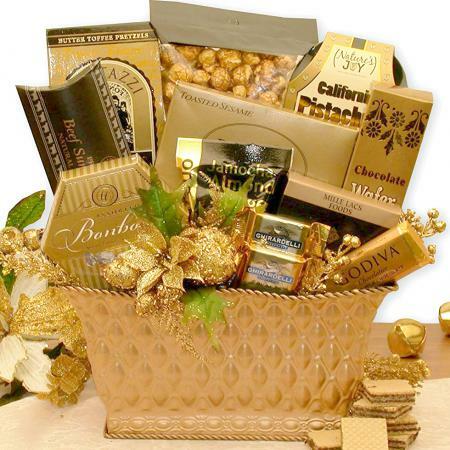 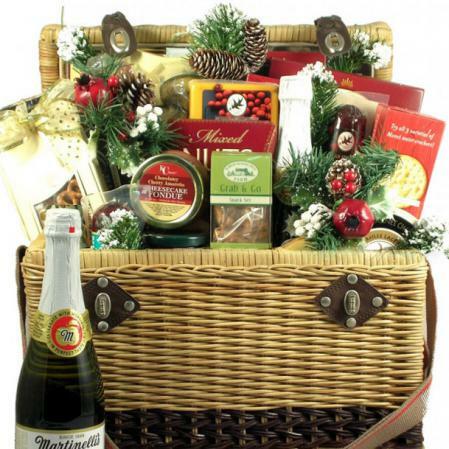 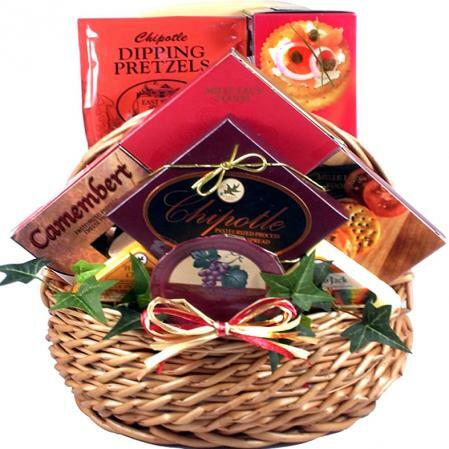 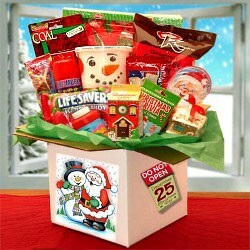 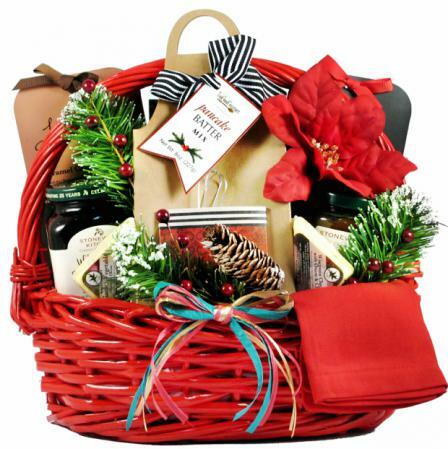 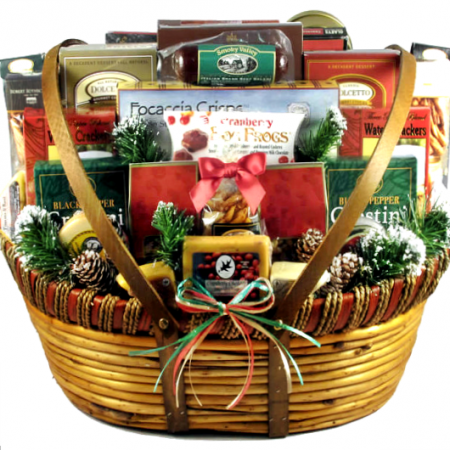 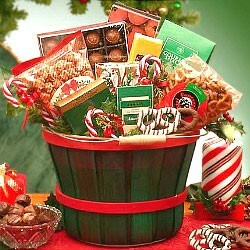 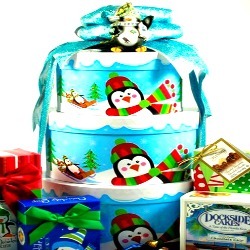 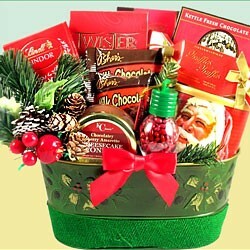 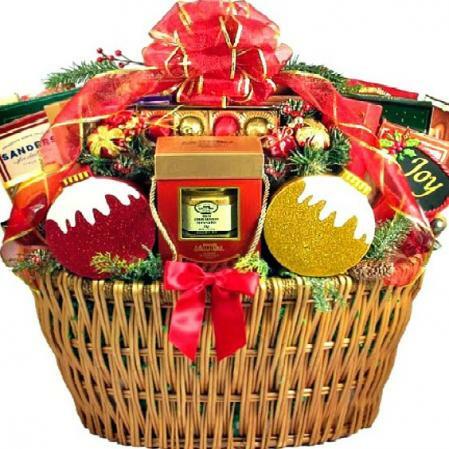 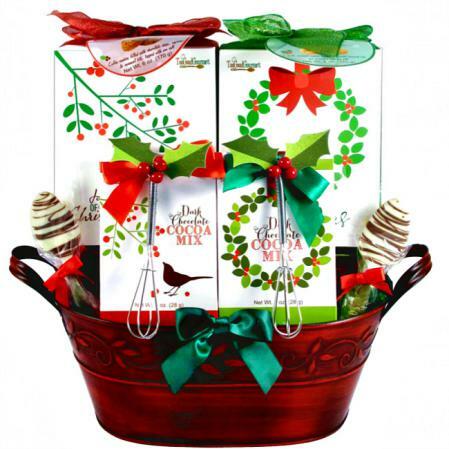 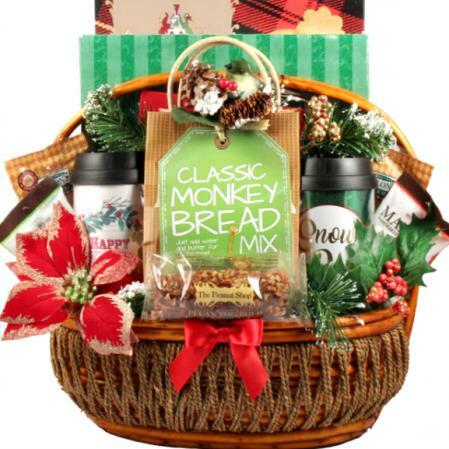 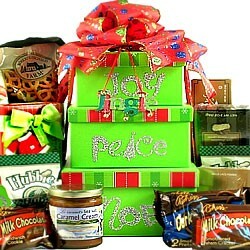 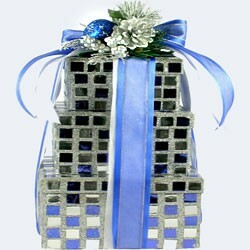 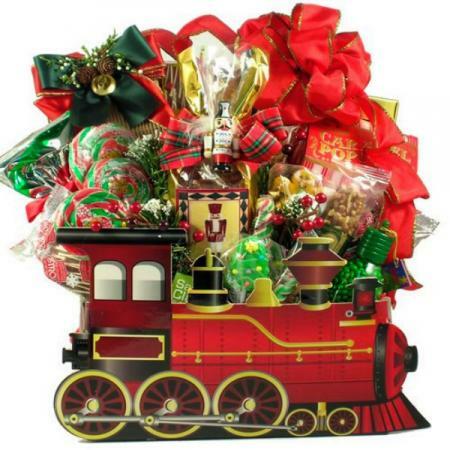 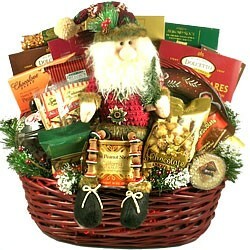 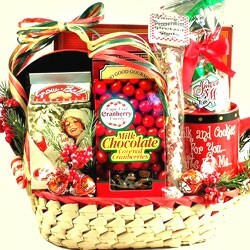 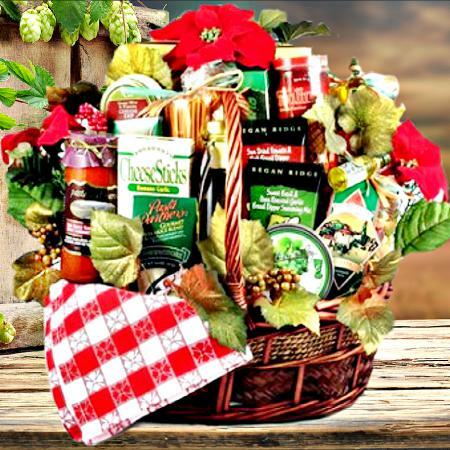 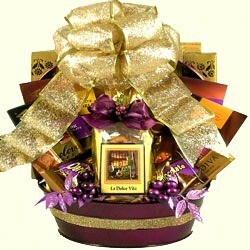 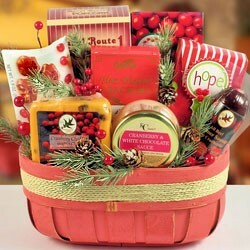 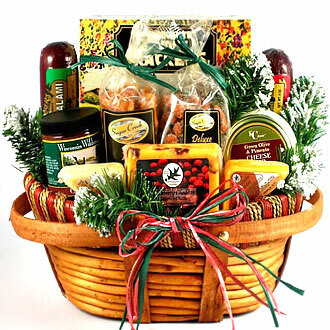 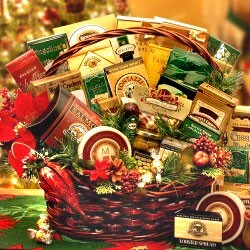 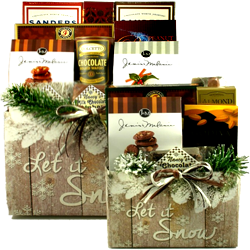 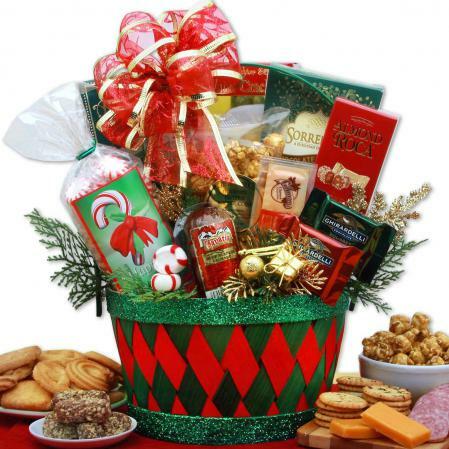 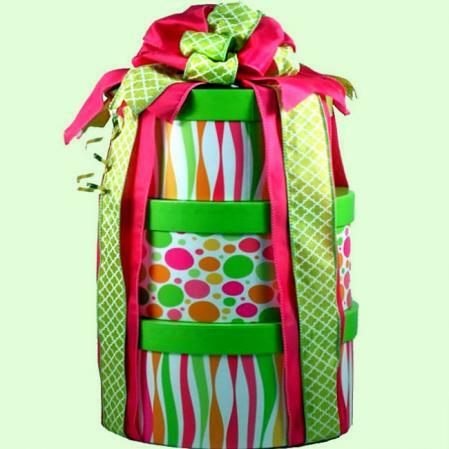 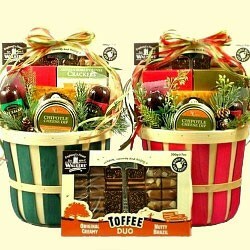 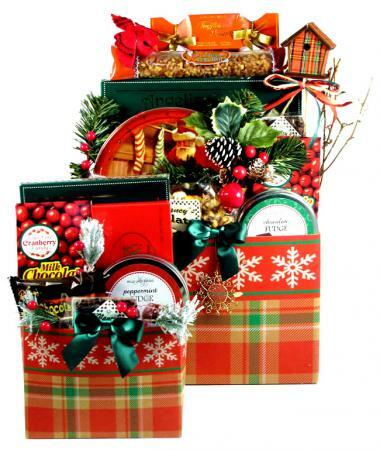 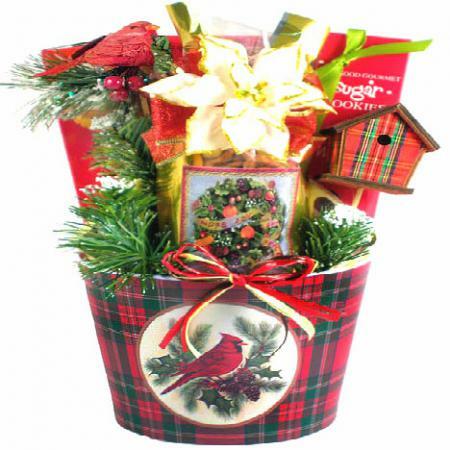 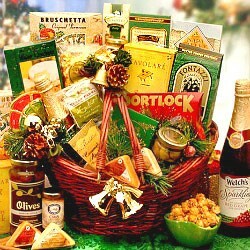 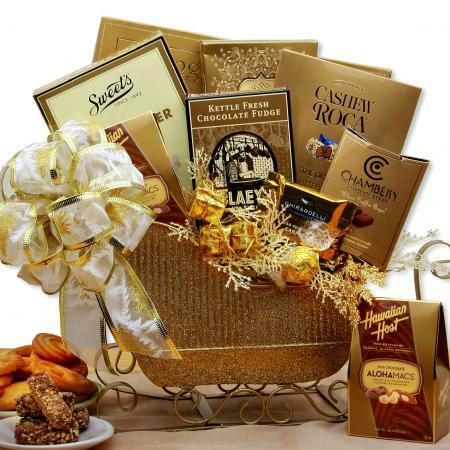 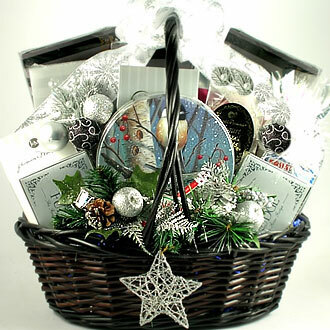 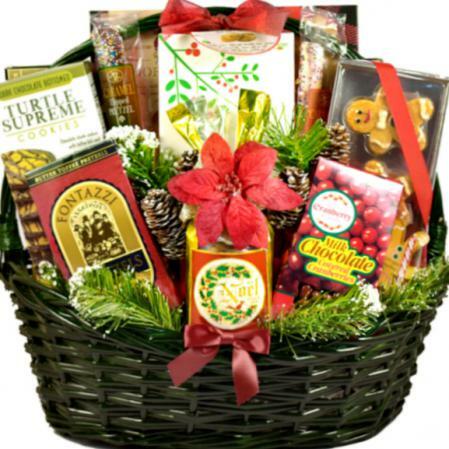 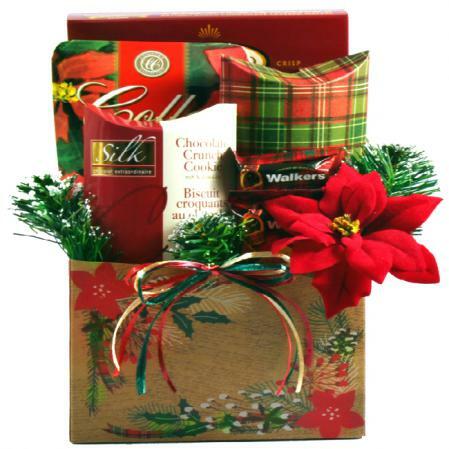 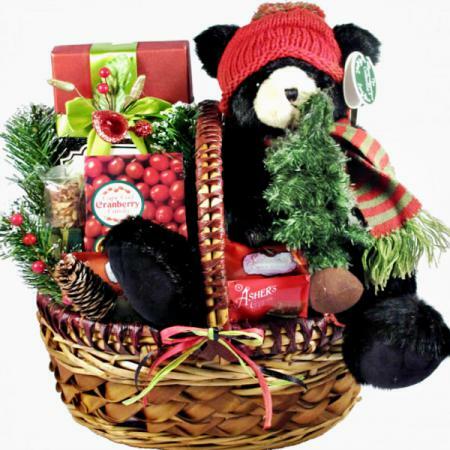 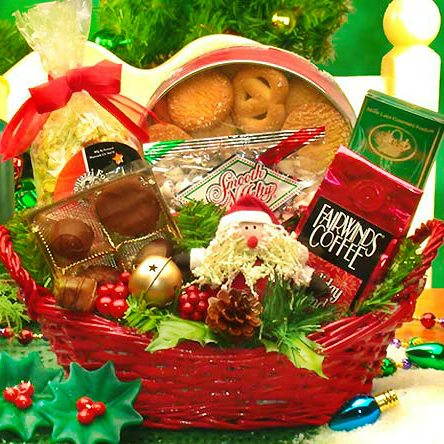 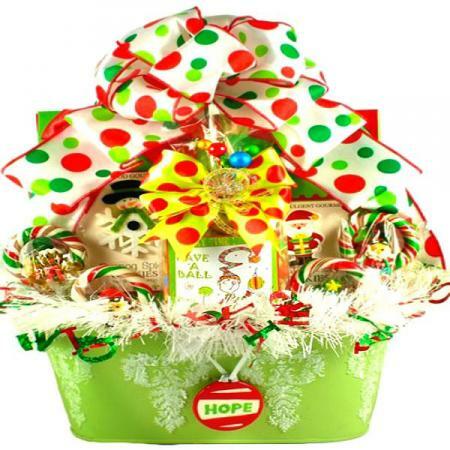 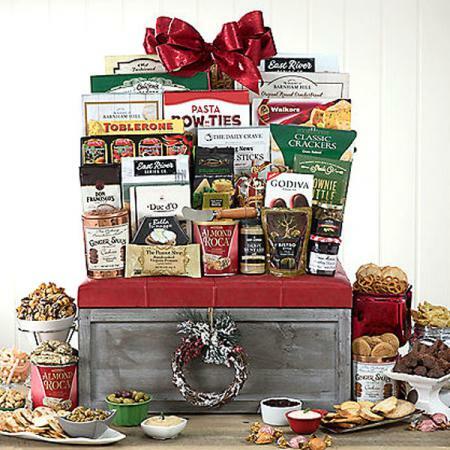 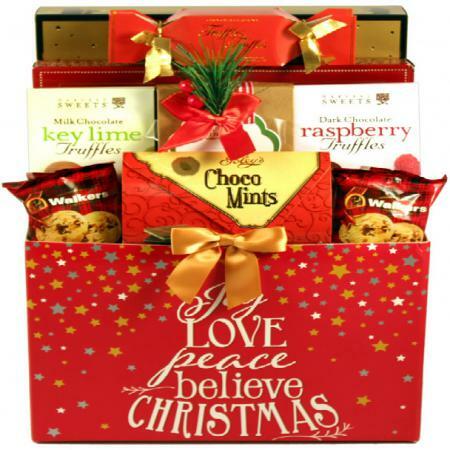 This gorgeous gift basket is perfect for sampling with a small office or family. 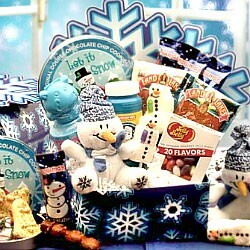 A group of 10-12 would have fun trying all the yummy stuff. 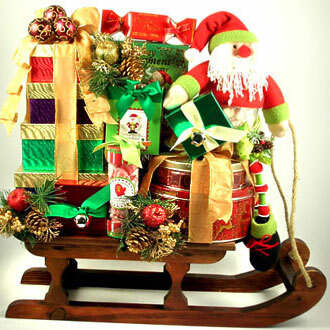 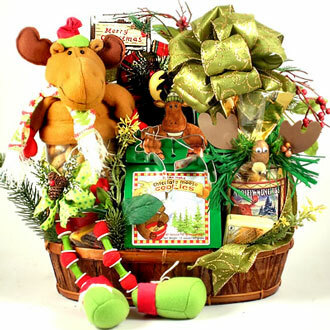 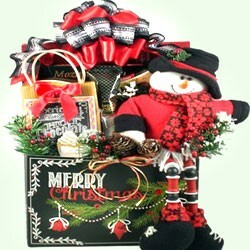 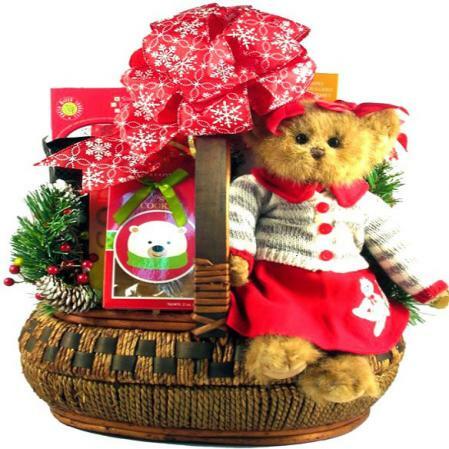 This unique gift basket is mid-sized - approximately 12" wide, 10" front to back and 13" tall (Probably a little taller with the bow). 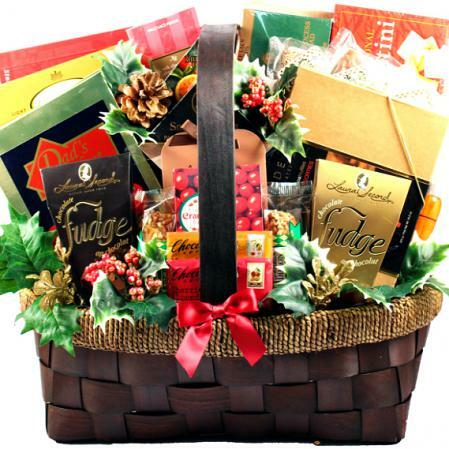 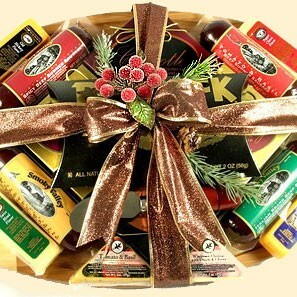 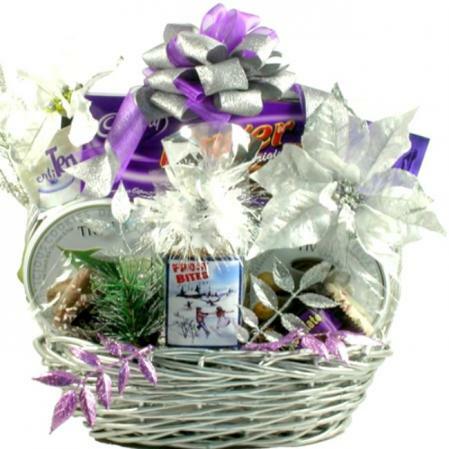 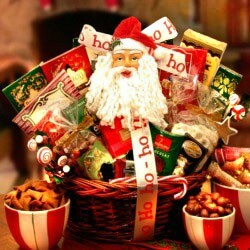 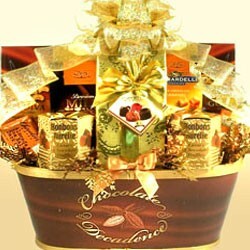 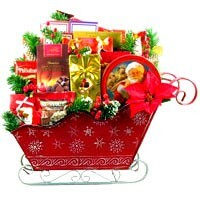 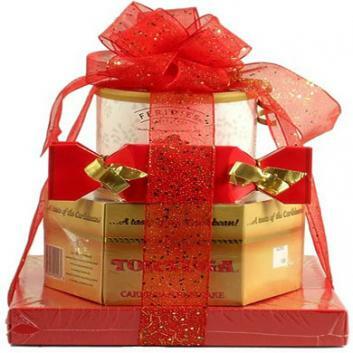 It's a stunning gift basket filled with delicious and unique goodies.